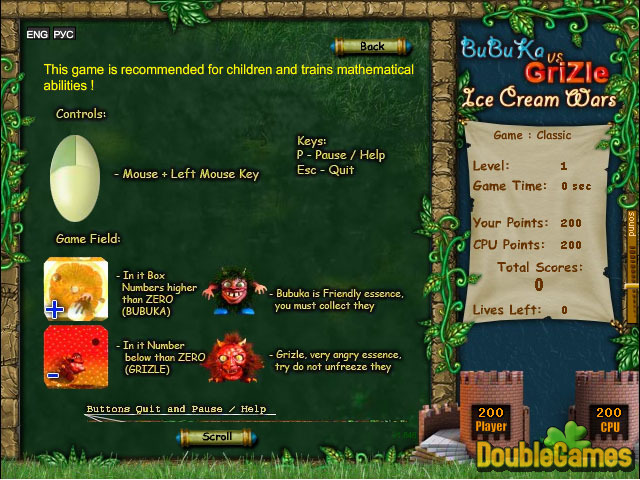 It is 3D animation game with special effects and art designed interface. There are two creatures here: Grizle and Bubuka. They were freezed in orange and red ice-cream by wizard, so you should free them and collect. But be careful, Grizles are not good, you should avoid them. Try to collect maximal count of only funny Bubukas in your tower. 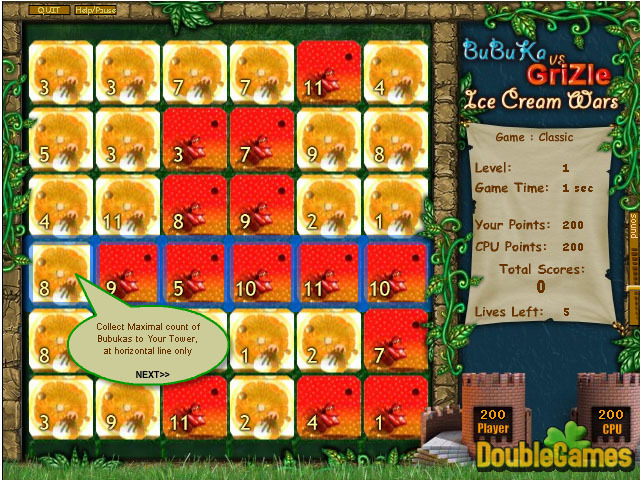 You win if you have more Bubukas in tower than computer. It is a very nice game for all the family! 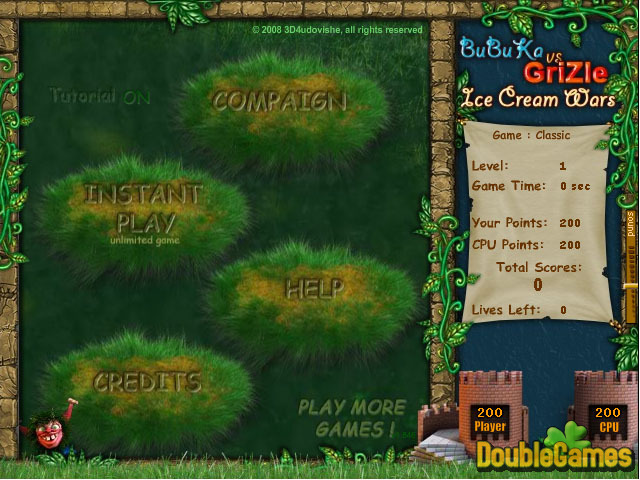 Title - Bubuka vs Grizle - Ice Cream Wars Game Download for PC Description - Have fun with Bubuka vs Grizle - Ice Cream Wars, a Puzzle game presented by 3D4udovishe. Try to collect maximal count of Bubukas and minimal count of Grizles!